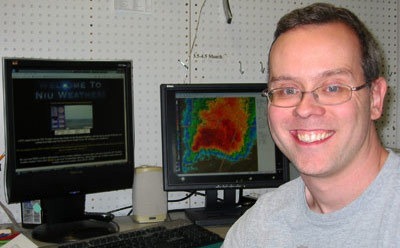 NIU Weather, part of the Department of Environmental Health and Safety, was named last week as a Weather-Ready Nation Ambassador by the National Oceanic and Atmospheric Administration (NOAA) and the National Weather Service (NWS). 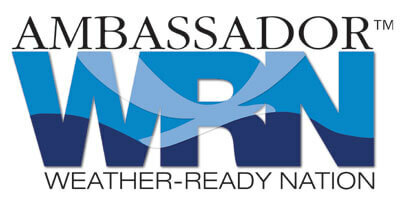 The Weather-Ready Nation Ambassador initiative is an effort to formally recognize NOAA partners who are improving the nation’s readiness against extreme weather, water and climate events. As a Weather-Ready Nation Ambassador, NIU is committed to working with NOAA and other ambassadors to strengthen national resilience against extreme weather. As an ambassador, Sebenste said, NIU is ready to handle severe weather quickly and effectively, before, during and after weather incidents occur. When Mother Nature strikes, Sebenste and his team are ready.